Hey yinz. The all-star break is over for both football and hockey, and for the latter that means teams are gearing up for the playoffs. The Penguins seem to be taking that very seriously. It’s no secret that they’ve been in a bit of a struggle during the first part of the season, hanging around the .500 line and lying low in the division. I knock on wood when I say that may be behind them. The Pens have seemed to have turned themselves around. With a win over San Jose last night they have won seven of their last ten games. Since my previous blog post only last week, the pens have shot from 5th place in the metropolitan division to 2nd right behind Washington, passing New Jersey, Columbus, and Philly in one week. I may be taking the optimistic approach, but things are really looking up. Remember last week when I said the young guys were keeping the team afloat? And that if the stars starting producing as well they would be nearly unstoppable? Well, I think that is starting to happen. 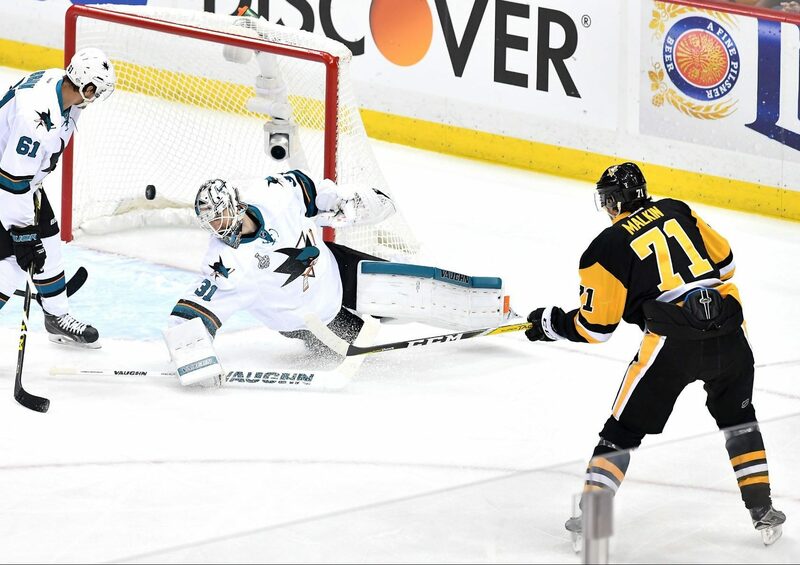 Most prominently last night against the sharks when Evgeni Malkin released some of his magic for a hat-trick. The veteran looks to be back to full production, and he is a real difference maker when he is. The young guys continue to be productive as well. Brian Rust contributed the other two goals of the night as him and Geno ran the show. Let’s hope this production level is contagious for the whole team and the Pens will see big success again. Another huge contribution to their success would be if the power play continues to be as lethal as its been. Currently, the Pen’s power play is 1st in the league at 27.1 percent success. Power play goals can really swing the momentum in a game and they must continue to use it’s effectiveness to their advantage. With Murray back in net and the superstars back on track, the power play can only get better and the team will be back on track for another successful playoff year. Now, this wouldn’t be much of a sports blog if I didn’t at least mention the upcoming Super Bowl, even if the Steelers aren’t involved. 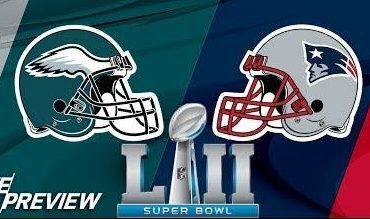 The Eagles will face off against the Patriots in Minneapolis this Sunday in Super Bowl LII. Let’s just say I do not like the Patriots. Mostly because they’re just too good and the Steelers are never able to beat them. Also, Patriot’s fans are some of the cockiest people around. Thus, I have to say I’ll be rooting for the Eagles this weekend, hoping they teach the Patriots and their fans some humility. Never thought I would say this but Go Birds! Well yinz, last weekend our greatest fear came true as the Steeler’s season came to an abrupt end in a heartbreaking 42-45 loss to the Jacksonville Jaguars. 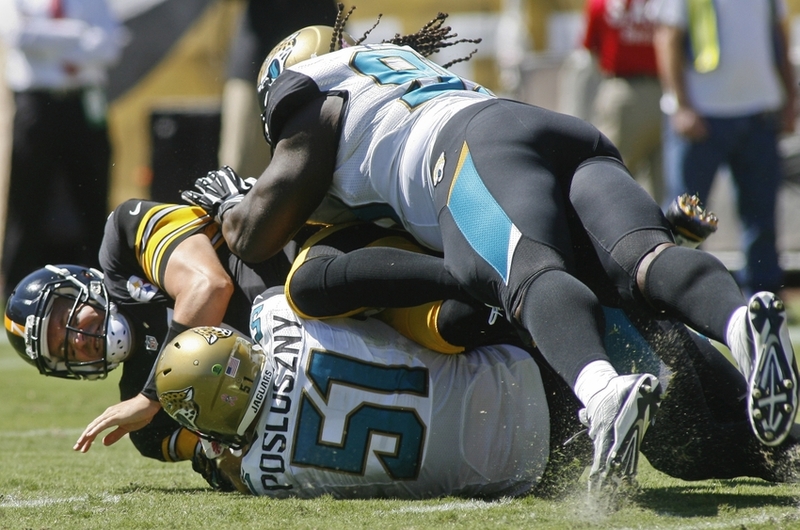 The Steelers seemed unprepared for the matchup as they were simply outplayed by the Jags. Maybe they got too ahead of themselves by thinking about their Patriot rivals rather than focusing on the matchup in front. Much of the fault lies in the weakness of the Steeler’s defense, a rare problem for this season as they were consistently ranked a top defense in the league. Throughout the game they continually let the Jaguars take the momentum away and the offense was playing catchup all afternoon. 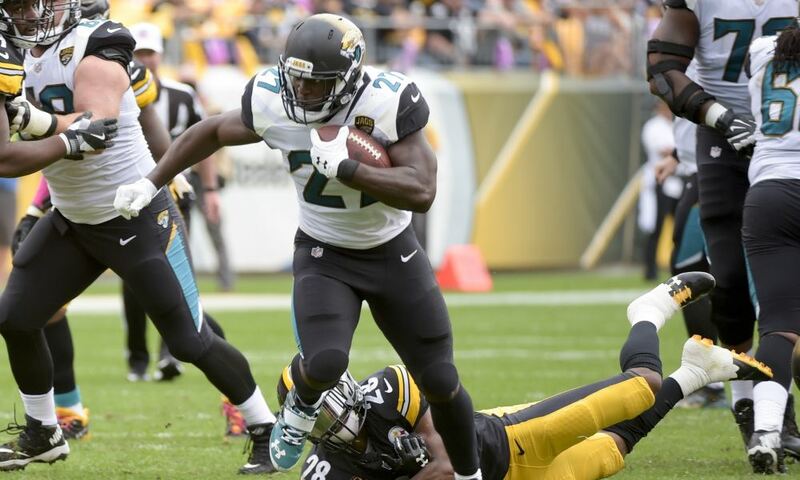 Although Ben topped Blake Bortles in the air game with 469 passing yards, the defense let star rookie Leonard Fournette run for 109 yards and 3 touchdowns, leading to their demise. However, the offense is still responsible for some of the damage. As with the first matchup against Jacksonville, the Steelers shot themselves in the foot with turnovers. An interception and a fumble both led to Jacksonville touchdowns. Also, our star running back Le’Veon Bell stayed rather silent with only 67 rushing yards and a last-minute touchdown. With all the bad stuff out of the way, let’s look on the bright side. We didn’t get the Super Bowl ending that we were hoping for, but a lot of good things came out of the season. Our rookie draft picks turned into standout players, the young defense proved to be extremely capable, and the offense continues to be a growing threat to multiple pro-bowl players on the roster. Looking into next season there is more good news as Ben Roethlisberger announced that he plans to continue playing in 2018. We can now breathe a sigh of relief as most feared that this was his last season due to expressed interest in retirement after last season. This also buys the Steeler’s coaching staff some extra time in developing Laundry Jones or finding a more suitable replacement for the aging, hall of fame worthy quarterback. One offseason issue remains with Le’Veon Bell, as it looks like they are going to have more contract complications. Last offseason, Bell did not reunite with the team until week one because he was not happy with his contract and being franchised tagged. Now this time around the Steelers announced they plan on tagging him again, and Bell has already expressed much distaste for this idea. I’ll end this rather somber post with a glimmer of good news: The Penguins finally seem to be heating up. They have won 5 of their last 6 games, giving them a record of 24-19-3 and placing them 4th in the metropolitan. They still have a lot of work to do to climb back to Cup-winning caliber, but always seem to have a knack for turning it up in the second half of the season. Let’s hope that’s the case and we will see a three-peat! What’s up yinz? It’s been a little while so we have some catching up to do. All in all, the things are pretty good for our Steel City teams. The Steelers are off to their best start in a while, moving to 7-2 after a win against the Colts last Sunday. That places them 1st in the AFC North. The Penguins are doing decent, with a record of 10-7-3, they are 3rd in the metropolitan. Nothing to be concerned about there as we have a long season ahead of us and the Pens have been known to really crank it up in the sec ond half of the season. Speaking of cranking it up, how about that Phil Kessel! 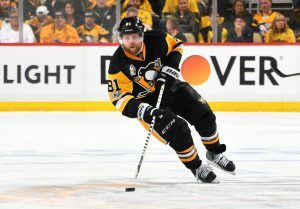 Often times Kessel’s talent goes unnoticed, as he can be shadowed by the two-headed monster of Crosby and Malkin, but so far this season it’s been hard to miss him. Kessel leads the team in nearly every major offensive stat (goals, assists, etc.) and has even worked his way to third in the league in goals. Thus far he has notched up 8 goals and 16 assists, with 9 of those points in the past five games alone. After struggling to put up points last year, Kessel seems to have turned around. This year we’re seeing a new Phil Kessel, as the stats aren’t his only huge improvements. First off, he’s scoring very important goals, with multiple game-winning overtime and game-tying goals, as seen by last night’s gorgeous tying one-timer that led to an overtime victory aga inst the Sabers. He continues to be a reliable asset, and his durability is proved by the fact that he has played in all 223 games since his signing in 2015. There’s just something different about Phil this year, he has improved his defensive presence with harder backchecks and rounds that off by being in perfect position to fire off his laser shot. If this output by Phil Kessel continues, combined with a rise in production from the other stars, the rest of the season is going to be more like the cup winning Pens we’ve come to love and we should be hot contenders for a three-peat. Now, back to the Steeler. Last week it seemed as though they had to shake off some bye week rust after a very poor start against the struggling Indianapolis Colts. In the end, we pulled it off with two unanswered touchdowns and a last-second field goal to seal the deal. We won’t be able to plan on an epic comeback this week as we take on the Tennessee Titans for Thursday night football. The Titans are 6-3 thus far, placing them first in the AFC South. With the young quarterback Marcus Mariota leading the offense, Tennessee will be a challenging opponent for the Steelers. In the end, however, the Steelers have only one loss at home this season and now have three strong receivers to tear up a subpar Tennessee secondary. What’s up yinz. Once again, the past two weekends were a wash for our Pittsburgh Steelers, with an embarrassing loss followed by a triumphant victory. The home game against Jacksonville was just plain awful (especially for those as myself who drove to Pittsburgh for it). Ben threw 5 interceptions and our prized running game amassed a whopping 47 yards. No wonder we lost 30-9. After a performance like that, Mike Tomlin must have lit a fire under those guys because they came out hot against the Chiefs last Sunday. We turned around and gave Kansas City their first loss of the season in a 19-13 match, an impressive turnaround from Jacksonville. Let’s just hope we can stay consistent for once. 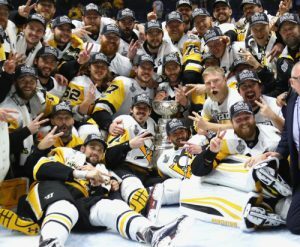 Now, we all know that fall is for football, but when your city is home to the reigning two-time Stanley Cup champions some room can be made for hockey. The only team I love as much (if not more at times) than the Pittsburgh Steelers are the Penguins and now that hockey season is in full swing as well, I think it’s appropriate to shift focus for the week. For those who live under a rock and don’t know, the Pens are the hottest team in the NHL. Winning three Stanley cups in the last decade and being the only team in the post cap era to win back to back. But can they keep it going and be the first team in modern history to win three in a row? (Yes, it has been done but that was when there were few teams in the NHL and no salary cap). Let’s face it, the odds are against us, but that’s not to say it can’t be done. 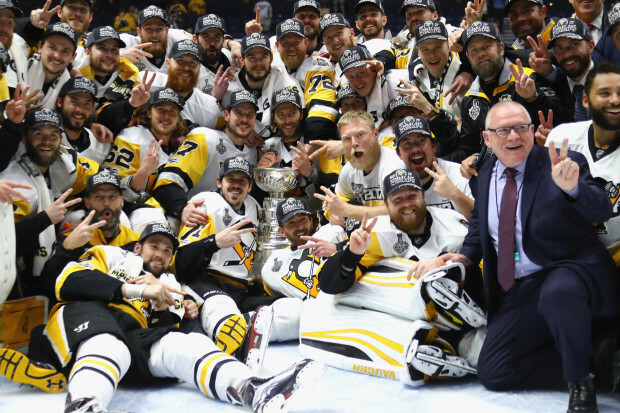 The reason for the Pens success from 2016-2017 was simply the lack of change. The only major changes between the two seasons were trading away injury plagued Beau Bennett and acquiring defenseman Justin Shultz, which both benefitted us greatly. Other than that, the difference makers came up from Wilkes-Barre (Jake Gentzel, Conner Sheary, etc.). This consistency within the franchise is what led to the second cup, if you don’t change the best team in hockey, then they are still the best team in hockey. This season, however, things were shaken up a bit and I’m not sure for better or worse yet. The most prominent was the loss of goalie Marc-Andre Fleury to the Vegas expansion team. Having two top quality goaltenders was a massive advantage for the Pens and Fleury will be missed. Other losses include Nick Bonino and Matt Cullen. However, the acquisitions of players such as forwards Greg McKegg and Ryan Reaves and goalie Antti Niemi could provide adequate replacements and keep the pens on top. So far the Pens are off to an okay start, with a record of 4-3 in the first few weeks of the season. 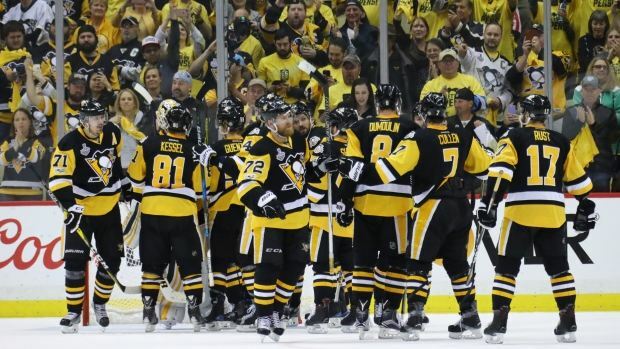 This mediocre start is nothing to worry about because the Penguins are notorious for turning it on mid-season and keeping it on throughout playoffs. I think we have a good shot at a three-peat. HERE WE GO STEELERS (and Pens)!!!! Let’s dive back into week one against Cleveland where the Steelers took the win away with a surprisingly close 21-18 victory. I really thought going into that game the Steelers would clean house and run the score on the Browns all afternoon. I thought my prediction was confirmed when special teams recovered the blocked punt for a touchdown a few minutes in, but the Browns kept fighting. Guess I really underestimated their rookie QB DeShone Kizer, who played well in his debut, going 20/30 for 222 yards, one TD, and one interception. With that said, in your face Browns because we still took the win. This past week I felt was a better performance on the Steelers part. We stepped it up against a tougher Vikings defense and our added depth proved worthy. Le’Veon Bell was much more effective this time around rushing for 87 yards (more than double last weeks of 32). Antonio Brown was shut down a lot of the game with the Vikings putting him in multiple coverages and always against their top corner Xavier Rhodes. 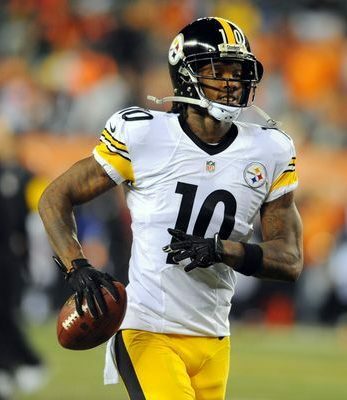 With that, however, the Steelers realized how much they have missed Martavis Bryant, who caught 4 passes for 91 yards and a TD. Rookie JuJu Smith-Schuster also caught his first career TD pass from Ben to help secure the 26-9 victory. Our depth in the receiving core is what won us the game (along with help from a lot of Vikings penalties.) This is what the Steelers were lacking last year and is what is going to put them ahead this year. Last year Antonio Brown saw an average on 12 targets per game and was constantly over covered. The Steelers lacked a solid number two WR and were forced to over-rely on Brown (even though most times he could handle it). This year when teams are caught rolling that extra coverage towards Brown, it leaves Bryant open where he can make that big play. My prediction is that Martavis Bryant will be the subtle difference maker for the Steelers this season, if he can stay clean. As for this coming Sunday, the Steelers hope to keep the streak as they head to Chicago to take on the Bears at 1:00 pm. The Bears are off to a slightly struggling start, as they are 0-2 going into week 3. They put up a respectable contest with the NFC champion Falcons, but still lost 17-23. Now they are coming home from an embarrassing 7-29 trip to Tampa Bay, and their top running back Jordan Howard is questionable with a shoulder injury. The Steelers also have injury troubles, with star rookie T.J. Watt leaving the Vikings game with a groin injury, no update on him released. Also on defense Stephon Tuitt is questionable with a bicep injury. Luckily our powerhouse offense is still completely healthy (knock on wood). Hey yinz fellow Pittsburghers and Pittsburgh fans, my name is Jarred Vasinko (left in the picture). I grew up in the small town of Latrobe, home of Steelers training camp, and was raised to bleed black and gold. 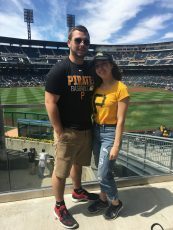 This blog is for me to share my Pittsburgh pride with you, keeping you up to date on weekly scores, stats, news, and all things Steelers, Penguins, and Pirates. Warning: I am by no means a sports analyst (so bear with me), I just love sports. I’ll start us off with a quick Pirates report. As the regular season wraps up and teams are preparing for playoffs, we Pittsburghers are once again left in the dust, preparing to lower the Jolly Rodger. The Pirates had a good run in the recent Cincinnati series, winning 2 of 3, also winning the first two of the cubs series (with help from Arrietta leaving with a leg injury). Despite this recent upswing, the Pirates are still 6 games behind .500 and 9.5 games behind the division leading Cubs, so our playoff chances are looking rough. Sorry to break the news. With the bad news out of the way, tis the season to be jolly, for football is back. Time to dust off the terrible towels and unhang that number seven jersey. The pains of last season’s AFC final are behind us and, with a promising off and preseason, we can look into this season with optimism. This offseason has been a roller coaster of emotions for us. 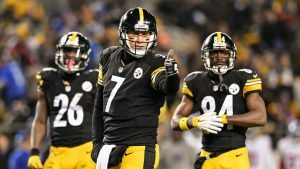 Between the failed negotiations with Le’Veon Bell and the delayed reinstation of Martavis Bryant, us Steeler fans were hanging on edge. However, everything seems to have panned out. Bryant has been fully reinstated, adding much-needed depth to the receiving core beyond Antonio Brown. Also, Bell has finally signed his franchise tag worth $12.1 million and returned with the team after missing all of August. Both players are healthy and ready for week 1. Preseason wrapped up last week with a 17-14 victory over the Carolina Panthers. That leaves the Steelers with a preseason record of 3-1, with wins over Carolina, Atlanta, and the Giants and the only loss to Indianapolis. To me however, preseason is no indicator of the season to come as it is just the time for coaches to figure out their backups and who they can rely on in the future. With preseason over, it’s time for the real fun to begin, and what better way to start off the regular season than by kicking the crap out of the Browns. That’s right, our Steelers travel to the mistake on the lake this Sunday to take on the rival Cleveland Browns at 1:00 PM. Is it even a rivalry anymore? Pittsburgh has won eight of the last nine contests and the Browns have not seen playoff action since we beat them in the 2002 wild card. The Browns situation doesn’t appear to be getting any better as they lost star receiver Terrelle Pryor and have a rookie at starting quarterback. The Steelers are healthier than ever, so I’m liking our odds. HERE WE GO STEELERS!! Category: Football, Uncategorized | 1 Comment on Hello world!